Home Differences What is the Difference between Current Assets and Current Liabilities? Assets and liabilities are classified in many ways such as fixed, current, tangible, intangible, long-term, short-term etc. 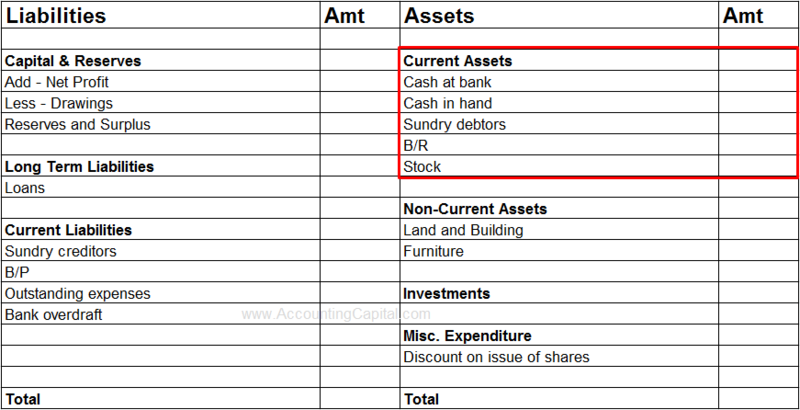 While analyzing the balance sheet of a company it is important to know the difference between current assets and current liabilities. Here the distinction is related to the age of assets and liabilities. Current assets are short-term assets either in form of cash or a cash equivalent which can be liquidated within 12 months or within an accounting period. They are short-term resources of a business and are also known as circulating or floating assets. 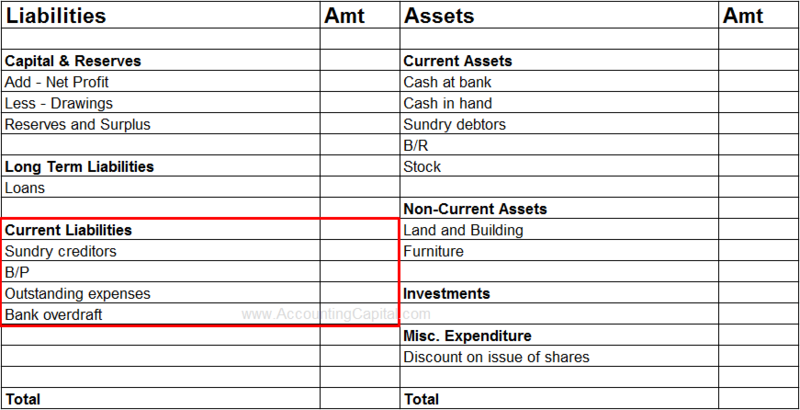 Current assets are realized in cash or consumed during the accounting period. A major difference between current assets and current liabilities is that more current assets mean high working capital which in turn means high liquidity for the business. 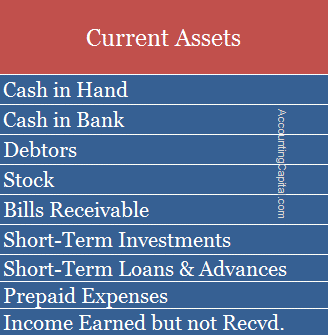 Examples of Current Assets – Cash, Debtors, Bills receivable, Short-term investments, etc. They are placed on the assets side of a balance sheet in the order of their liquidity. Current Liabilities are short-term liabilities of a business which are expected to be settled within 12 months or within an accounting period. They are short-term obligations of a business and are also known as short-term liabilities. Current liabilities are paid in cash/bank (settled by current assets) or by the introduction of new current liabilities. One important difference between current assets and current liabilities related to the liquidity of business is that more current liabilities mean low working capital which means low liquidity for the business. 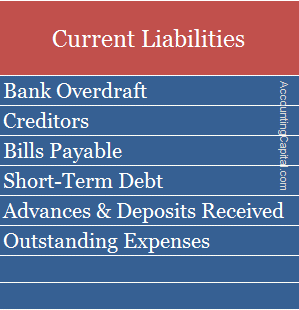 Examples of Current Liabilities – Bank overdraft, Creditors, Bills payable, etc. They are placed on the liabilities side of a balance sheet, usually, the principal portion of notes payable is shown first, accounts payable next and remaining current liabilities in the end.